The façade is also unique in its use of robotics. 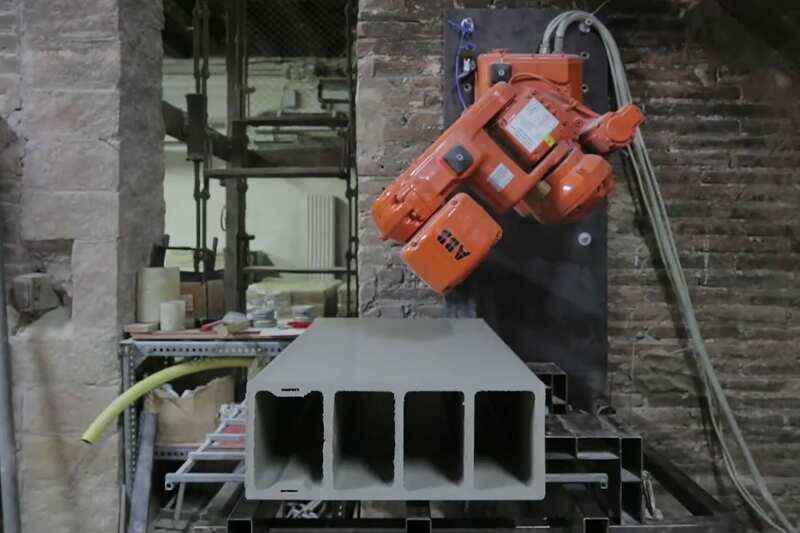 “With the help of Cerámica Cumella and the IAAC (Institute for Advanced Architecture of Catalonia), we’ve invented an algorithm that uses sound to create a template that a robot etches onto the surface of the ceramic tile while it is extruded. This process allows us to create an infinite number of pieces. In conclusión, each one unique and different but all of them with the same lines. For this pieces, we chose “Vivaldi Recomposed” by Max Richter, which, like us, takes something from the past and brings it up to date”, says the architect. More than 800 pieces of different sizes make up a vast puzzle of vertical ceramic modules, blurring the order and number of storeys. Therefore, the façade also has five large wooden frames in it that are in fact balconies and that break up the lines of the frontage. This system has been used to create the large ceramic mural that covers the entire ground floor from the reception area to the Xerta restaurant, via the café and the cocktail lounge.